Pink and Lime green polka dots line this white grosgrain ribbon. It is 7/8 inches wide and is attached to an alligator clip. The center has a French knot with the same ribbon. 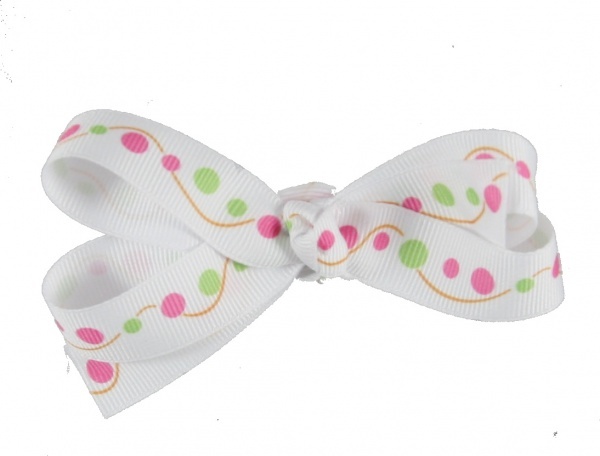 This size ribbon is great for the side of the face or get two for piggy tails.